I want to personally thank everyone who has purchased and stitched my designs since we began in 2003. You are the reason for Brooke's Books and I thank you from the bottom of my heart for sustaining such a fulfilling occupation. My best wishes to you and may you have hours and hours of stitching pleasure. 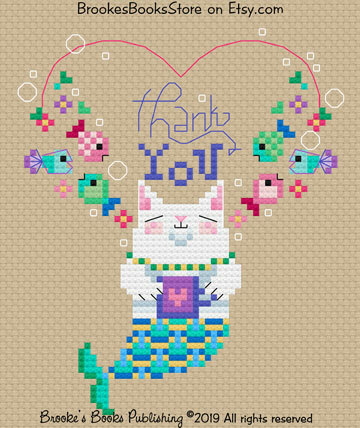 Click on Miss Merkitty for your free chart and a very big THANK YOU!